“Today I challenge our top retail competitors (you know who you are!) 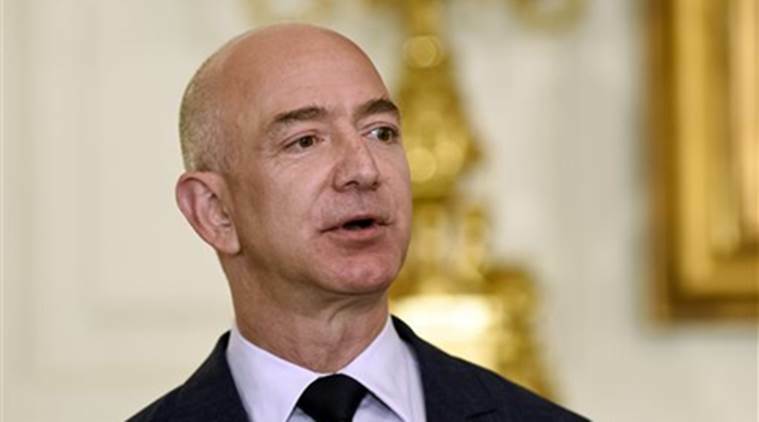 to match our employee benefits and our $15 minimum wage,” the billionaire entrepreneur said in a letter https://blog.aboutamazon.com/company-news/2018-letter-to-shareholders to shareholders. “Do it! Better yet, go to $16 and throw the gauntlet back at us.” The online retailer raised its minimum wage to $15 per hour for U.S. employees from November, giving in to critics of poor pay and working conditions at the company. Walmart, which has raised its minimum wage twice since 2015, pays an entry wage of $11 per hour. CEO Doug McMillon has said Walmart’s average U.S. hourly wage is $17.50 including bonuses based on store performance, and excluding healthcare benefits. The two retailers, which are fierce rivals, rarely go after one another other publicly. Amazon’s third party sales in 2018 accounted for 58 percent of total sales, up from 56 percent in 2017, Bezos said. Amazon has said that it pays all the required taxes in every country where it operates, including $2.6 billion in corporate tax and reporting $3.4 billion in tax expense over the last three years.